Do you use circle time in your classroom? And, do your kiddos love to sing? A good morning tune is a great way to begin your circle time each day. I have a good morning circle time song to share with you that will build community and literacy skills at the same time. The cool thing about this song is that many literacy skills can be practiced based on student needs and ages. I’ll show you lots of different ways to differentiate below. First, let’s learn the basic song. Then, I’ll show you all the literacy skills you can teach with it. Here are the words to the song. I also have a FREE printable for email subscribers so that you can keep a copy with you while you learn it. Download it below. Continue to repeat the song until all of the students’ names have been used. With very young children I would begin by just singing the song. As you go around the circle, greet each child. This is a great way for kids to learn each other’s names. To work on visually recognizing names, hold up name cards with pictures next to each name. Use these with the song when you insert names. To make #2 more challenging, remove the picture prompts from the name cards. You can also make word cards for the days of the week. This will help kids to visually recognize the names of the days. You can spend time talking about the different letters in the word and the fact that the first letter begins with a capital letter. Let the kids clap the word parts for each name as you sing. For example, if you are using the name, Peyton, you would clap two times for Pey ton. Jessica would get three claps Jes si ca. Ok, need to see this all in action? Watch the video below. Are you ready to reach all of your growing readers and their families? 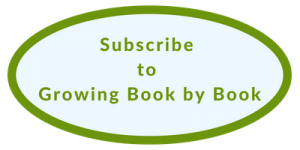 Become a member of our Growing Book by Book community. As a thank you, you will get a printable song. Just click the button below. Would you like some more circle time songs to sing with the kids that build literacy skills? I have 35 more for you that cover alphabet recognition, beginning sounds, rhyming, and more. Check out 35 Circle Time Songs That Build Literacy Skills. HI! WHAT TUNE IS THIS SUNG TO? YOU GUYS MENTIONED A VIDEO, BUT THERE ISN’T ONE ON THE PAGE. Hi Jodie.. Loved ur site.. I have a granddaughter.. Will love to do the activities with her.